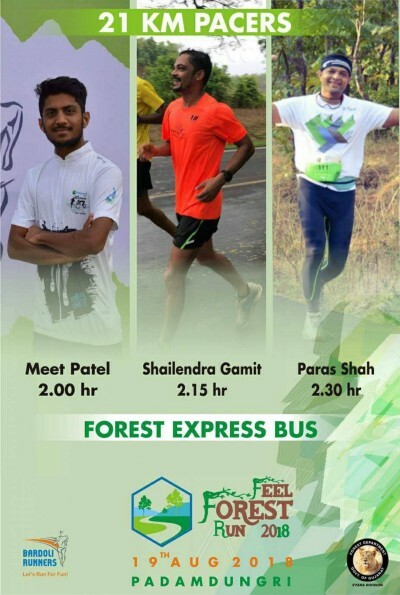 A running event in lush green forest and pristine countryside of Tapi forest. 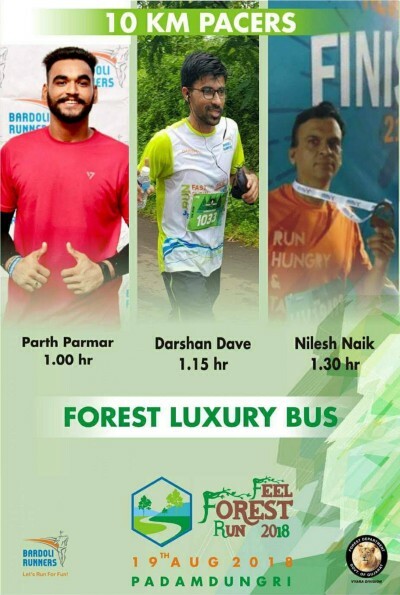 Get ready Bardoli Runners to feel the real forest nearest by our Bardoli & Official warm up run before out-city Half Marathon, kind of practice run for beginners. Also it is a good opportunity to come close to mother nature and conservation awareness by plantation with so many return gifts. 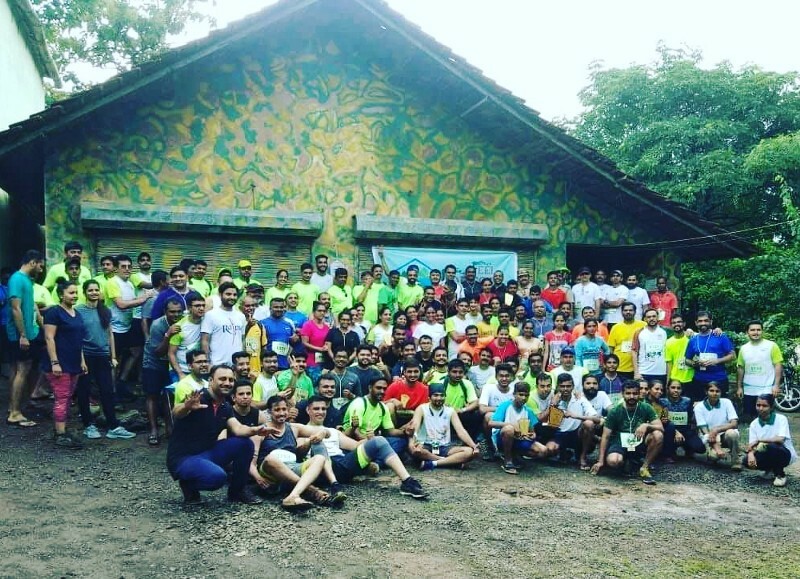 In one sentence, it is completely one day #RunPicnic #BardoliFitTohIndiaFit for the Bardoli Runners by the Bardoli Runners. Do not throw any plastic wastage, papers, bottles and garbage on the route. We have dustbin at every hydration points so use it for the betterment of the nature. If anyone found doing such activity will be disqualified from the event. 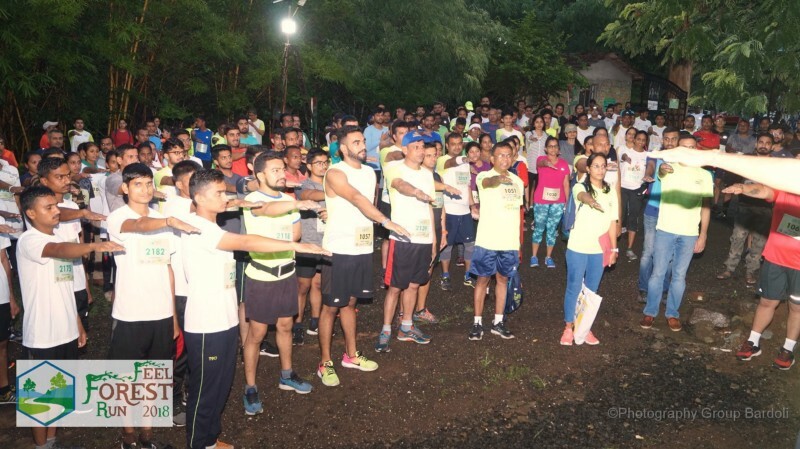 Consumption of any drugs and alcoholic product is strictly banned during and after the event, we are running at reserved forest region please display sportsmanship with local public and volunteers. All the podium finishers, as stated in above category, will be awarded with appreciation trophy. However, proxy BIB will not be eligible for appreciation award. It is your responsibility to wear appropriate footwear & clothes suited to run on asphalt roads. Please, note that wearing inappropriate footwear or running barefoot can lead to grievous injury. However, seeing current monsoon season pick your gear accordingly. The running number BIB is mandatory for your participation at race day and will have to be personally collected by you at the Marathon Expo, the details of which will be communicated to you by email. In the event of your inability to collect your running number BIB the same can be collected by your representative. Your representative has to carry your govt. issued photo id along with an authorization letter duly signed by you, authorizing your representative to collect your running number BIB on your behalf. Race day images of all participants will be screened visually after the race and if any of the participant is found not wearing the running number bib allotted to him/her, the participant registered for that BIB will be disqualified from the race. Goodie Bags will be given to all participants on a first come first serve basis only at the Marathon Expo, details of which will be provided to you shortly by email only or by other means. It is recommended that you register early and collect goodie bag at the Marathon Expo early to avoid disappointment. We will note down timing manually for the event. Display and wear your BIB properly so it can be visible for every volunteers for note down your timing at checkpoints. At U-turn we will note down your time after crossing marked line or sign and for confirmation band will be given at U-turn, so keep it up to finish line. Any dispute about timing, race director and committee decision will be final. All participants will be issued a certificate online only. Certificates will be available only after 1 week of the event completion. Medals will only be given to the participants on successfully completing the designated course. Furthermore, we have tree plantation for the entire participants, so please join us for green drive and enhance our forest beautification. Information & updates will be emailed and published in other social media group. For regular update please visit this page regularly. 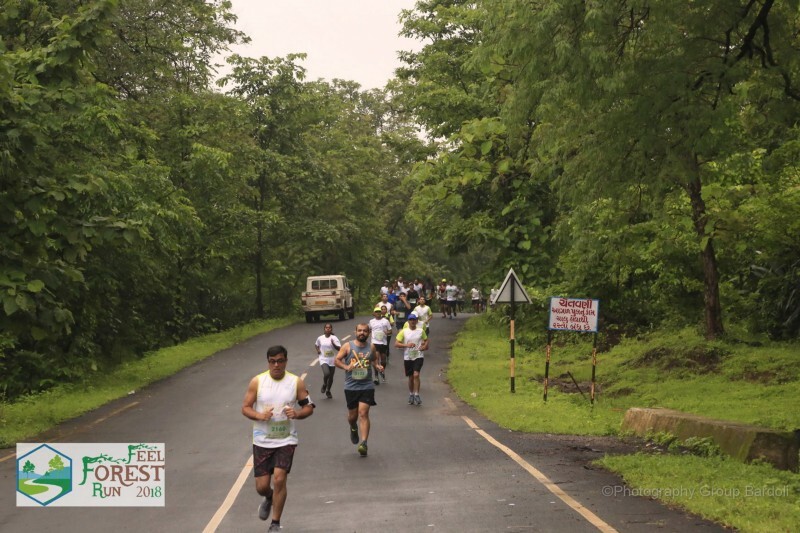 We at ‘Feel Forest Run’ believe that everyone who has attempted to participate is a winner. But due to civic needs the course needs to be cleared in a stipulated time. The cut-off time for the half marathon timing to be registered is 3 hours 15 minutes and for the 10K run, it is 1 hour and 40 minutes. The race course is opened on a rolling basis for the traffic as the participants edge closer to the finish. The aid stations will also be wound up as the race progresses and the traffic restrictions will ease. Slow runners beyond the cutoff time need to exercise extra caution. There is no sweeping vehicle for the participants but in case of emergency support provided. Please do not discard your bib after the run as it is mandatory for availing the post-run snack. Also, it will be your tool to avail your finisher medal and later on your timing certificate. Feel free to contact us, if you have any query. 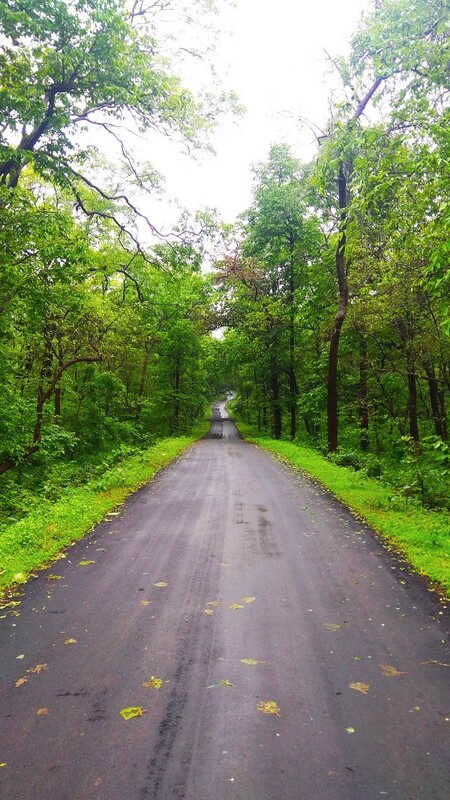 Lost is Lush green Forest…!! 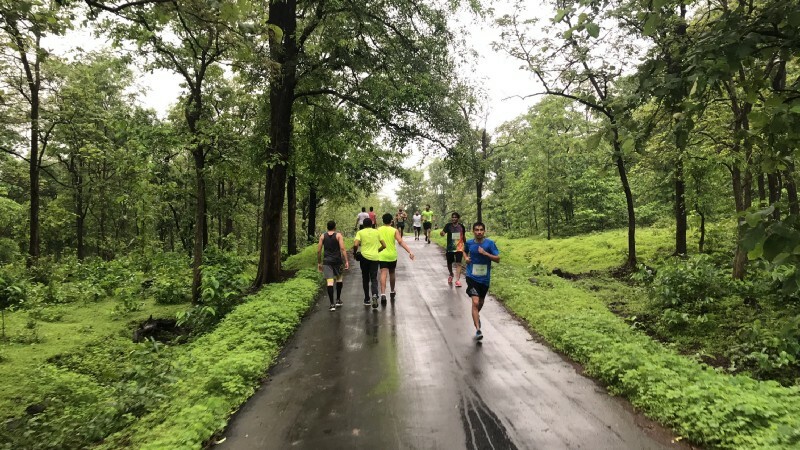 This Half -Marathon was organized by my own running group Bardoli Runners & I am very much thankful of my running group for fantastic well-managed event. I never thought of podium and I stood 2nd rank in Female category which is wonderful moments for me and will tell so many stories to my grandchildren. 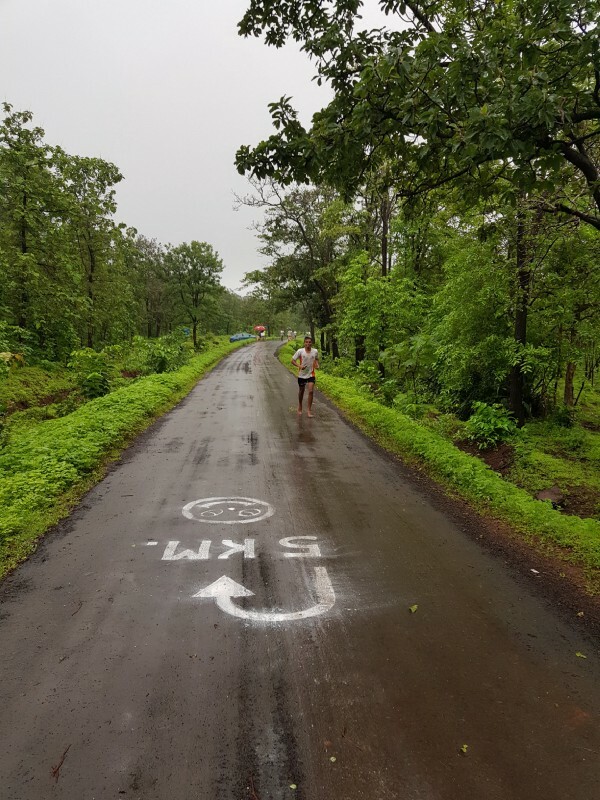 Best experience in forest and superb route with my own village Gangpur runners who are always with us during every sunday long practice run. Last and most important is the concept of plantation, wonderful feeling after planting for next generation and our betterment to balance the nature. All volunteers of the event were always with smiling face & raising their hands for drink, food gave so much homely approach and instant relief of pain. Thanks to all the co-runners who made event successful & once again, I am thankful to my own Bardoli Runners FFR Team. તમારા ગામ પાહે, આટલુ ફક્કડ જંગલમાં, ઓલી મુંબઇવાળી દોડથીયે હારી વ્યવસ્થા હારે, જેટલી જોયે એટલી ચા પીવરાવે, નાસ્તો કરાવે ને જોરદાર જમવાનું જમાડે! દાક્તરો અને ઓલા કસરતવાળાઓને બોલાવી આપડા જેવાઓનું ધ્યાન રાખે, આખેય રસ્તે કેળા ને મોસંબીયું ને ઓલું ગ્લુકોજનું પાણી, ને ઝાડા થાય ઇ વખતે દાક્તર જે કલરવાળ્યું જે મોઘું પાણી દે ઇ જોયે એટલું પીવડાવે! કેટલા બધા ઓલા લાંબા મોંઘા કૅમેરાથી ફોટા લે અને છોડવાઓ રોપાવડાવે! દોડ પુરી થાય ને સંધાઓને જોરદાર મેડલ દે, ગરીબોને કપડા દેવડાવે, ને મોટા મોટા જંગલના અધિકારી બોલાવે, ને આપડા માટે શાહરુખ કે અમિતાભથી વધારે અગત્યના ને આપના જેવા ઠ ગુજરાતીઓ કંઈ શીખે એટલે સાહસિક મેહુલભાઈને બોલાવે! 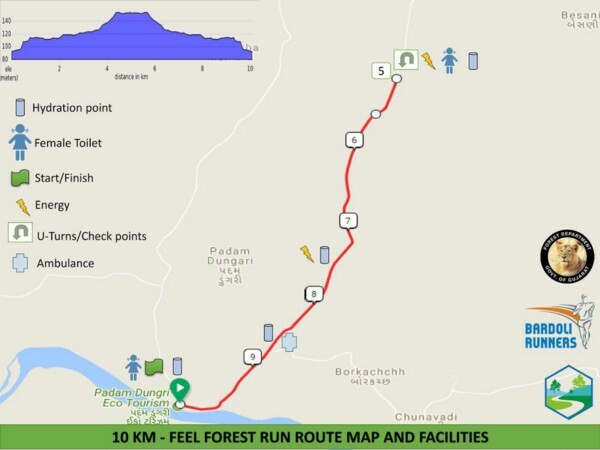 Hi, Just wanted to thank everyone that helped make Feel Forest Run 2K18 Half-Marathon a great event. At First, I was hesitated to go for 10km or 21km. Then, after discussion with Nirant Sir and Amish Sir, They encouraged me to go for 21km, the maximum distance I had to covered for the first time. Then I started practicing for 21km under the guidance of our 21km pacer Dr. Paras Sir and now finally, at the Race day completed it in 2 hours and 53 minutes, my Personal Best under the Lap of the Nature. I also want to thank Team Lakecity for their constant support during practice time and on the Race day. I would like to thank each and everyone of Team Feel Forest Run that was involved in putting this race together and making it such a great experience. From the website information (course description, day of race info, etc…), to the aid stations and all the volunteers in between. Special Thanks to Bhargav Mistree Sir, I honestly was extremely pleased with it all. Well! outside of the damn wind those last few miles of the race, I can only imagine that the word will spread pretty quickly on how solid of race this is and that you’ll be selling out very quickly next year. Wish you all continued success with these races and thanks again! The best kind of friends are those that enter in your life, and help you to see a blue sky where before there was a cloudy sky. They are the ones that have so much faith in you that you start having faith in yourself. These are the friends we should be grateful for. Thanks Bardoli Runners Group for excellent management and dedicated work for motivation and giving opportunity to enlight my life as I am a runner. 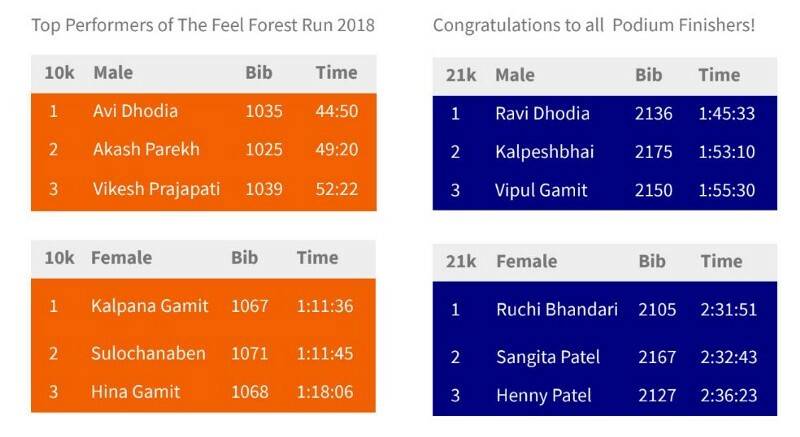 Many many congratulations to entire organizing team of Feel Forest Run. Perfect management, wonderful track, nice lunch, and many more. Thank a lot for such wonderful event. 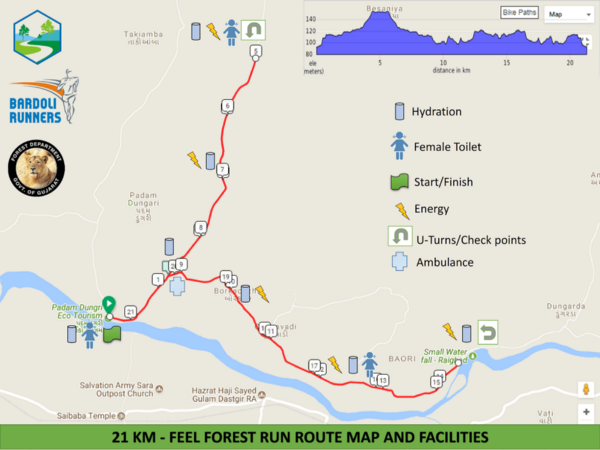 I am so happy, I completed my 1st 21k Run with the help of well planed management of Bardoli Runners Team. I thank to organiser and special thanks to Nirant for reopening link and Amishbhai for taking care of A to Z. Thanks to Amishbhai, Nirant & Bhargavbhai for well planned and well organised event. I enjoyed a lot. Thanks to all volunteers for great support. All did a good job. નક્કી થયું કે પદમ ડુંગરી માં દોડ રાખવી છે, તો દોડ નું નામ શું રાખવું? આનંદકુમાર સર સાથે અમારી ચર્ચા થઈ, બધું પાકું થઈ ગયું. બારડોલી આવતા મોટરમાં ચર્ચા થઈ કે દોડનું નામ શું રાખવું? ઘણા બધા નામો ની ચર્ચા થઈ અને મને અચાનક નામ મગજમાં આવ્યું અને મેં કહી દીધું “FEEL FOREST RUN” એને સરે અને ટીમે વધાવી લીધું, પછી તો શું કહું? FFR એ ઇતિહાસ બનાવી દીધો. જંગલ ખાતાના માનનીય અધિકારીશ્રી આનંદકુમારના પુરેપુરા સહયોગ અને પરવાનગી તેમજ ટીમ FFR ની અથાગ મહેનતથી આ દોડ યોજાઇ અને વિના વિઘને પુરી થઈ. મારી એક અઠવાડિયાની રોજની ૨.૯ કિ. મી.ની પ્રેકટીસ. હિરેન જોષી સાથે અને છેવટે દોડના દિવસે દોડ પુરી (૧૦ કિ. મી.). મઝા આવી ગઈ! જિંદગીની પ્રથમ દોડ અને તે પણ કુદરતના સાન્નિધ્યમાં. ચારેકોર લીલોતરી અને બાજુમાં ખળ ખળ વહેતી નદી. એની મઝા જ કાઈ જુદી હતી. આ દોડ ને પુરી કરવા જે જે નામી અનામી, કે નાનામાં નાના વ્યક્તિએ નાનામાં નાની મદદ કરી છે એમનો દિલથી આભાર માનું છું. ટીમ FFR નો ફરીથી અંતઃકરણ પૂર્વક આભાર માનું છું કે તમે આવી દોડ નું આયોજન કર્યું. આશા રાખું છું કે ભવિષ્યમાં પણ આવું આયોજન કરતા રહેશો. 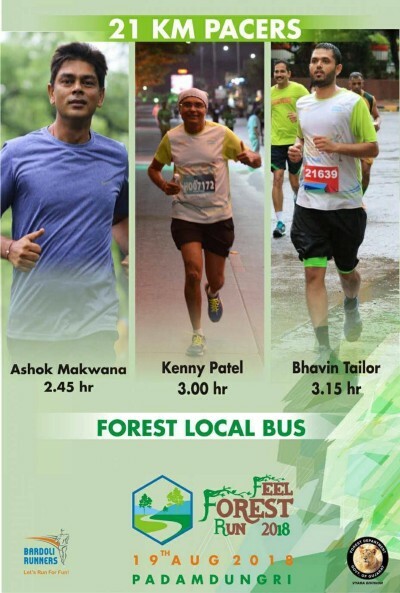 Really felt the forest run like never before….